While Saturday’s Main Stage lineup at the Atlanta Jazz Festival is designed as a celebration of the artists of the 21st Century, the lineup that will closeout the AJF on Sunday is anchored by some of jazz’s living legends. We will hear a big band with roots that stretch back to Glenn Miller;, a vocalist from a legendary jazz family who has become a legend in his own right; a guitarist who is widely considered to be one of the vital and productive artists in America and finally one of the greatest living pianists in jazz, a man who has influenced artists from Miles Davis to Robert Glasper and beyond. The Atlanta Jazz Festival will surely end on a high note. 1:00 pm – Milton High School Jazz Ensemble – The Youth Jazz Band Competition allows young jazz musicians from all over the metropolitan area the opportunity to showcase their talent. Three winners are selected to receive a financial contribution to their music program and a guaranteed spot to perform on the Atlanta Jazz Festival Main Stage. The Milton High School Jazz Ensemble finished third in the competition and will open the Main Stage performances on Sunday. 3:00 pm – Airmen of Note – The Airmen of Note is the premier jazz ensemble of the United States Air Force. Created in 1950 to carry on the tradition of Major Glenn Miller’s Army Air Corps dance band, today the “Note” features 18 of the most talented jazz musicians in the country and is one of the last touring big bands. As a result, it has earned an international reputation as one of the finest and most versatile big bands of its kind in the world. 5:00 pm – Freddy Cole Quartet – It is almost impossible to hear Freddy Cole and not think of his older brother, the immortal Nat “King” Cole but as Freddy reminded us in the title of his 2004 album I’m Not My Brother, I’m Me, he has steadily and determinedly carved out his own impressive musical niche. While Nat started in the jazz world and moved on to pop super stardom, Freddy Cole has never abandoned his roots, something for which we are all grateful. 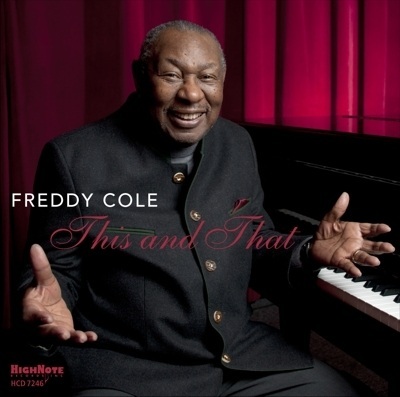 Now at the age of 82, Freddy Cole’s always raspy voice has developed an even deeper level of expression as he uses time and space impeccably to tell his story. His recent album releases have included some surprisingly good interpretations of relatively recent pop hits, in addition to the Great American Songbook selections; including a terrific version of Bill Wither’s “Lovely Day” on Talk to Me and “Everybody’s Talkin’” on This and That. We hope to hear these and much more from this current Atlanta resident during his set. 7:00 pm – Bill Frisell’s Guitar in the Space Age – Bill Frisell’s project, Guitar in the Space Age is an homage to the inspirational popular music of his formative years made in the wake of “the birth of the Fender Telecaster guitar” – (1951) that, he recalls, “got me super fired-up” about his instrument of choice. Frisell and his band mates explore material, recently recorded for release on Okeh/Sony Masterworks, associated with The Beach Boys, Junior Wells, Pete Seeger, The Kinks, Chet Atkins, Jimi Hendrix, Merle Travis, Johnny Smith and many others, as well as original material by Mr. Frisell himself. Frisell has always injected generous doses of humor in his music and we expect the same from this all-star group which will include guitarist Greg Leisz, Tony Scherr on bass and one of my favorite drummers working today, Rudy Royston. Recognized as one of America’s 21 most vital and productive performing artists, Frisell was named an inaugural Doris Duke Artist in 2012. He is also a recipient of grants from United States Artists, and Meet the Composer, among others. Currently he is the Guest Curator for the Roots of Americana series at Jazz at Lincoln Center and Resident Artistic Director at San Francisco Jazz. 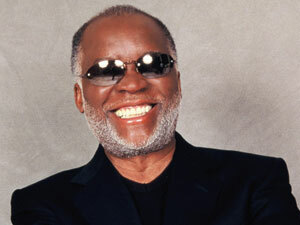 9:00 pm – Ahmad Jamal – One of jazz’s greatest living pianists, a Downbeat Jazz Hall of Fame member, a man whose style has influenced so many of the greatest jazz musicians of the last seven decades (including, most famously, Miles) ; will close out the Atlanta Jazz Festival on Sunday night. As he approaches his 84th birthday, a time at which even most jazz musicians are considering slowing down a bit, Mr. Jamal is, on the contrary, undergoing a career renaissance. His last two albums, Blue Moon and Saturday Morning, have earned Grammy nominations and critical bouquets, the likes of which the Pittsburgh native had not heard in years. Jamal’s sound on these albums, while true to his tradition has; thanks in large part to his new rhythm section of Herlin Riley on drums, bassist Reginald Veal and percussionist Manolo Badrena; become fresh, hip and born again funky. Ahmad Jamal did not “sell out”; the jazz world came up to meet him. Younger pianists such as Robert Glasper have taken notice and have given Jamal the respect that many critics denied him in his early years. Mr. Jamal is also known for having a top 40 pop hit in the early sixties, with his recording of “Poinciana” and for now being the last living major participant in the famed 1957 CBS television broadcast The Sound of Jazz (I love how the great Hank Jones is standing right by the piano as Jamal plays, intently studying Ahmad’s work). Opportunities to see someone like Ahmad Jamal are growing rare and a chance to see him for free is virtually unheard of. So if I were you and anywhere near Piedmont Park in Atlanta on Sunday night around 9. I would be there to hear this man play. And if by chance you run into Ahmad Jamal, remember not to call his art “jazz” but his preferred term, “American Classical Music”.